ANF | What’s behind the extradition of Gülizar Taşdemir? What’s behind the extradition of Gülizar Taşdemir? Oslo Council member, Niger Enayati, said the Kurdish woman activist was a bargaining chip. 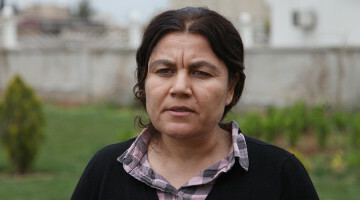 The extradition to Turkey of Kurdish woman activist, Gülizar Taşdemir, appears to be a conspiracy, said activist Niger Enayat. "Taşdemir, - said Enayati - was sacrificed in the interest of Norway-Turkey relationship. The deletion of data in possession of lawyers and those interested in the case confirms this”. The echo of Norway's decision to extradite woman activist Gülizar Taşdemir to Turkey on 4 July is still resounding. While the lawsuits followed by NGOs, the media and the public have been moved to international law, a campaign has now been launched against Norway. 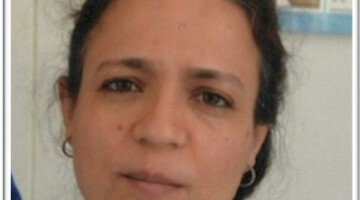 Gülizar Taşdemir requested asylum in Norway in September 2015, aware of the arrest warrant against her and knowing her life was in danger in Turkey. The asylum claim, which lasted for 11 months, was rejected by Norwegian authorities in August 2016. Taşdemir's lawyer appealed against the decision. 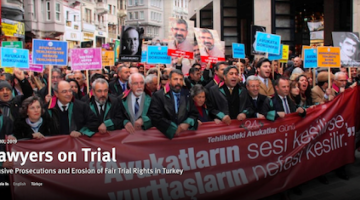 After the rejection of the appeal, they went to the upper court, but in September of 2017, it also ruled against Taşdemir. 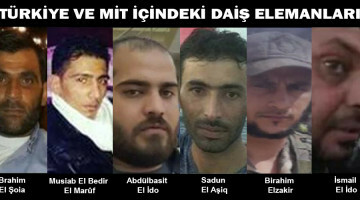 Faced with this situation, Gülizar Taşdemir applied for asylum in Germany in October 2017. Germany rejected the request for asylum in accordance with the Dublin agreement and police handed over Taşdemir to Norway on July 2, 2018. Taşdemir was under arrest here for 2 days, and on 4 July the Norwegian Asylum Department ruled her “statements were not credible” and they extradited her to Turkey, sending police officers with her and keeping her handcuffed all the time. 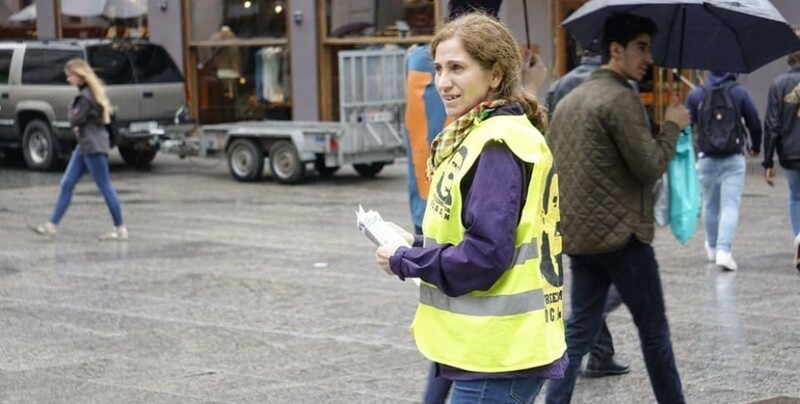 There is no news from Gülizar Taşdemir since her arrest in Turkey. She is believed to be held in the Istanbul Anti-Terrorist department (TEM). Neither her family nor her lawyer has been given any information and they believe her life is in danger. 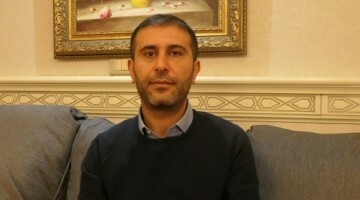 Until 2015 dealing with Gülizar Taşdemir case in Norway was Oslo Council member, Niger Enayati, who stated that the rejection of the Kurdish woman asylum claim was no ordinary refusal. “On the life of Taşdemir, a conscious decision was taken as a result of a bargain and she was extradited to Turkey. What happened after her extradition clearly confirms this”. Despite the opposition shown by Amnesty International, political parties and civil society in the last hours, the Norway Asylum Court confirmed its earlier verdict stating that the woman’s “statements were not credible”. Enayati said: “Despite being absolutely known and proved which kind of life Taşdemir had lived, despite the photos and documents presented about her life, such a decision was taken. We know that thousands of asylum seekers in Norway and European countries have been granted asylum despite not being political at all. But asylum was refused for a person who clearly faces a serious danger in Turkey”. In 2016, added Enayati, a research was done on the situation of Gülizar Taşdemir in Turkey. “The embassy said they had nothing on her. However, - said Enayati - we know that in 2013, Doğubayazıt Chief Public Prosecutor's Office was prosecuting Gülizar Taşdemir on the grounds of 'membership to an armed organization'. There are two things here: either Turkey has lied to the authorities of Norway or such a report was deliberately prepared. There's a big contradiction here. We know that Norway is no country to be so easily fooled. So, what remains is that the decision came as a result of a trade”. Enayati is convinced that there is a conspiracy in which “Norway, Germany and Turkey are involved. “Gülizar Taşdemir was the victim of this dirty alliance. In the last 3 months, 245 people stated that they were members of the Gulen community and claimed asylum in Norway. While the Turkish state asked for their extradition from Norway, Norway has sent Gülizar Taşdemir. They want to make the rationale for acceptance of their right to asylum by proving that ‘Turkey is not safe’. At present there is this debate in Norway”. Taşdemir suffers from serious health condition, she has heart problems, blood problems and she just underwent surgery. “Taşdemir, was sent to Turkey in these conditions. Norway is guilty of a crime against humanity. It is responsible for her life”. There is another disturbing evidence, said Enayat. Enayat added: “According to Norway, Turkish intelligence would not do such thing. Which only leaves one suspect: Norway’s intelligence service”. The photo given by Taşdemir for her asylum application in Norway and other documents were handed out to Turkey together with the Kurdish activist. Turkey in turn gave the photo to the Turkish media. “This is against both the Norwegian law and the United Nations (UN) refugee law. Even if one person's asylum application is rejected, those documents and photographs should never be given to another country”. Kurds have always seen Norway as a democratic country defending human rights, argued Enayat who added: “Norway had played a mediator role in 2009, between the PKK and Turkey. Norway has such a mission. But with this decision it prompted a reaction among Kurds. It has betrayed Kurds. The Kurds will never forget that. At present, an international campaign has been launched to denounce this Norwegian decision”.